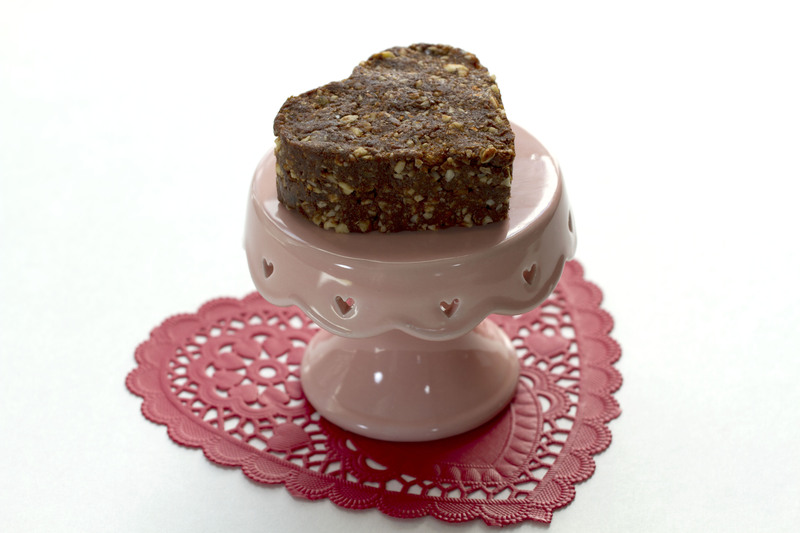 Valentine’s Day can be tricky for anyone on a sugar-free diet. We recently have made an effort to eat gluten-free and sugar-free to improve our overall well-being. My Mr. Wonderful used to buy large boxes of candy for our special day and I needed to create a substitute for the sugary candies, yet seem like an indulgence. After all it is Valentine’s Day. I have found through trial and error you don’t need sugar or gluten products to create amazing special desserts. I especially like the convenience of no-bake recipes. The quick recipe below is a basic no-bake recipe that you can change, substituting your favorite ingredients. I used almonds, chocolate, and coconut because those are our favorites. Put almonds in food processor and chop lightly. Add dates, vanilla, and cocoa powder. Pulse until it forms a ball. 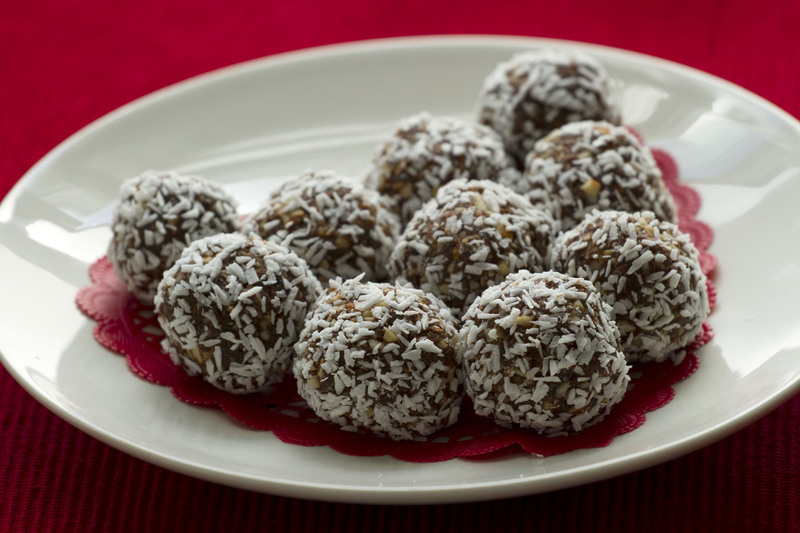 Either roll into inch sized balls and then roll in unsweetened coconut, chopped nuts, etc., or press into a greased pan and cut into bars, or cut out with a cookie cutter. I have also made these adding ½ cup cashew or almond butter for variety. The dates make this recipe very sweet and satisfying. Happy Valentine’s Day! 01 Feb	This entry was published on February 1, 2014 at 9:37 pm. It’s filed under Holidays at the Cottage, The Cottage Kitchen and tagged almonds, chocolate, coconut, dates, dessert, sugar-free, Valentine's Day. Bookmark the permalink. Follow any comments here with the RSS feed for this post. Yum!! Can’t wait to try these! !